As an information source for physician’s who are considering becoming a LEMA. As an access point for those who may be interested in upcoming NPS EMS activities, field manuals, conferences and specific EMS scope of practice descriptions. A document written as a reference guide and information source for LEMA’s. Describes the duties and responsibilities of a LEMA. A document signed by the director of the National Park Service outlining EMS policy within the NPS. A document designed to cover all aspects of NPS/EMS with specific details aimed at how to follow DO-51. These are modules designed to train NPS EMS providers to perform specific skills and should be utilized by LEMA’s. The Parkmedic Primary Certification Course is held every other January in odd years at UCSF Fresno/Community Regional Medical Center. All other courses are offered locally at various parks. This group holds monthly conference calls to discuss, update and plan NPS EMS. It serves as the primary advisory committee to the Branch Chief for EMS services in Washington, DC (WASO). 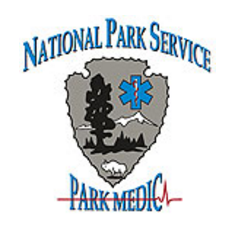 Membership to the committee is designated in RM-51 and includes EMS representatives from each region of the National Park System and the National Medical Advisors. Since 1997 approximately once per year, the NPS has held EMS workshops designed as a venue for discussion, presentation of new projects/ideas and prioritizing NPS EMS work. Additionally these conferences provide some CME and an opportunity for the NPS EMS Advisory Committee to both update and take questions from LEMA’s and EMS Coordinators throughout the NPS system.